1986 World 3-Cushion Championship . May 18, 1986 . Las Vegas, Nev.
Avelino Rico. Not necessarily the first name that pops into your head when you think of the greatest underdogs in sports history. But at the 1986 UMB World 3-Cushion Championship at Tropicana Hotel in Las Vegas, Rico beat gigantic odds - and 19-time world champion Raymond Ceulemans - to earn the world title. The stoic Rico cracked a half-smile after his unbelievable win. From the start, the 1986 world championship was a bit of an aberration. The 14-player field was without two top European players due to a row between billiard federations. The format was a bit funky for 3-cushion. Instead of the usual round-robin final, the top four players squared off in single-elimination matches. That tweak was costly for Ceulemans. The titan of 3-cushion was absolutely unstoppable early on. In six matches in the first round-robin, the Belgian posted an average of 1.807, topping the world record of 1.678 he set eight years prior. Rico advanced into the final four by finishing second in the other group, setting up the David-vs.-Goliath semifinal. Cuelemans looked to be sailing through the innocuous match, sitting just two points from victory, 48-35. But then Rico did the unthinkable. The stout Spaniard strung together point after point to run 15-and-out. One run and Ceulemans was done. 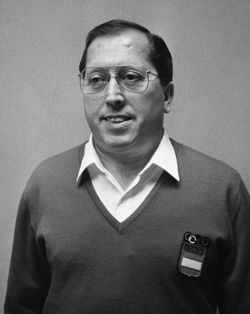 In the final, Rico faced Torbjorn Blomdahl, who in 1986 was a year away from the first of his 15 world titles. Months before this showdown, the two men faced off at the European championships, with Blomdahl rattling off 25 points in 13 innings for the come-from-behind win. This time with the world championship at stake, Blomdahl jumped out to a 41-25 lead. Rico responded with runs of eight and seven on his way to closing within two, 46-44. Blomdahl then missed a natural, allowing Rico to run out for one of the most improbable victories in the history of the sport, 50-46.